The site is situated to the rear of existing residential accommodation, forming part of the Oaklea Stables Complex. It forms a rectangular shaped site and benefits from extensive attractive views over the surrounding countryside. 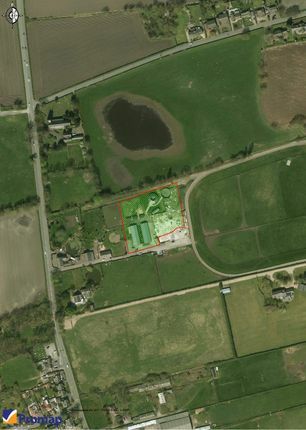 The land is situated adjacent to Oaklea Stables off Southport Road, Lydiate. Southport Road provides excellent access to Merseyside and the West Lancashire area and connects with Switch Island (M57/M58/A5036) interchange, approximately 3 miles (4.8 km) to the south west of the site. The immediate area is an attractive and popular residential location, which benefits from good transport links to Liverpool and Southport. Property descriptions and related information displayed on this page, with the exclusion of Running Costs data, are marketing materials provided by Matthews & Goodman, and do not constitute property particulars. Please contact Matthews & Goodman for full details and further information. The Running Costs data displayed on this page are provided by PrimeLocation to give an indication of potential running costs based on various data sources. PrimeLocation does not warrant or accept any responsibility for the accuracy or completeness of the property descriptions, related information or Running Costs data provided here.